Background Since the 1990s recombinant human FSH (r-hFSH), such as Gonal-f® and Puregon®, have been in widespread use for fertility treatment . More recently Bemfola®, biosimilar to r-hFSH, has been introduced with similar efficacy and safety to Gonal-f® , but delivered in a novel, innovative injector pen system (Reddot design award 2011). The Bemfola® pen (BP) is a single-use, disposable pen available in five different presentations (i.e., 75IU, 150IU, 225IU, 300IU and 450IU), each of which provides a range of doses that it can deliver. Non-compliance to hormonal treatment regimens might be a critical issue to reach therapeutic goals. The use of pens by patients is often limited by factors such as fear of injection, but can be also related to the device itself [3-6]. Therefore, easy-to-use devices may also positively influence physicians’ hormonal prescribing habits and patient’s compliance. Accordingly, this user acceptance study aimed to assess the use of the Bemfola® pen in a population of potential users with regard to the easiness and convenience of handling of the Bemfola® Pen in comparison to the Gonal-f® pen and Puregon® pen. Material and Methods Randomised and single-blind study with three-arm user test. The investigation was conducted in females who considered undergoing hormonal treatment for the first time (naïve) and who were considering to start an IVF or donor egg treatment cycle. A total of 10 centers from Spain participated in this investigation. This study of user acceptance included 460 females qualifying for potential patients considering a therapy with follicle stimulating hormone. Users received the three pens in a randomized, consecutive sequence, completed for each of the pen one questionnaire (same for all 3 pens) and thereafter completed a concluding questionnaire comparing the handling, convenience and indicating their preference among the 3 pens. No self-injections were performed and an application pad for injections was used. Results The Bemfola® pen showed the highest scorings and strong preferences in all pen features assessed and achieved the highest proportion of best choice compared to both the Gonal-f® and Puregon®. pen. Conclusions The results indicated significant preferences of women, who intended to undergo a hormonal treatment, for the Bemfola® pen compared to both the Puregon® pen and the Gonal-f® pen. Antecedentes Desde la década de los noventa, la hormona foliculoestimulante humana recombinante (hFSH-r) como Gonal-f® y Puregon®, se ha utilizado ampliamente en el tratamiento de la fertilidad . Más recientemente se ha introducido Bemfola®, biosimilar de la hFSH-r con eficacia y seguridad similar a Gonal-f® , pero desarrollada con un innovador sistema de pluma inyectora (premio de diseño Reddot, 2011). Bemfola® es una pluma precargada desechable de un solo uso, disponible en cinco presentaciones diferentes (75 UI, 150 UI, 225 UI, 300 UI y 450 UI), cada una de las cuales proporciona un rango de dosis determinado. El no-cumplimiento de las pautas de tratamiento hormonal es un problema fundamental en la consecución de los objetivos terapéuticos. El uso de plumas por las pacientes se ve a menudo limitado por el miedo a la inyección e incluso relacionado con el propio dispositivo [3-6]. Por tanto, los dispositivos de fácil uso pueden influir positivamente tanto en los hábitos de prescripción de terapias hormonales de los médicos como en el cumplimiento del paciente. En consecuencia, el objetivo de este estudio consiste en evaluar el uso de Bemfola® en una población de usuarias potenciales con respecto a la facilidad, y conveniencia en su manejo en comparación con las plumas Gonal-f® y Puregon®. Material y Métodos Estudio aleatorizado y simple ciego de tres ramas de tratamiento. Esta investigación se llevó a cabo en mujeres sin tratamiento previo que estaban considerando bien iniciar un ciclo de FIV o bien ser donantes de ovocitos. En este estudio participaron 10 centros de fertilidad de España. Se incluyeron 460 mujeres cualificadas para ser "pacientes potenciales de terapia hormonal con hormona foliculoestimulante humana recombinante." Las usuarias recibieron las tres plumas (Bemfola®, Gonal-f® y Puregon®) en una secuencia aleatoria y consecutiva, y completaron un cuestionario idéntico por cada una de las plumas, y un cuestionario de conclusión con el fin de comparar el manejo, la comodidad y la preferencia de las tres plumas. En ningún caso se realizaron auto-inyecciones y en su lugar se utilizó una almohadilla de aplicación de inyecciones. Resultados La pluma Bemfola® mostró la mayor puntuación y elevadas preferencias en todas las características evaluadas, y alcanzó la mayor proporción de "mejor" opción en comparación con la pluma Gonal-f® y la pluma Puregon®. Conclusiones Los resultados mostraron preferencias significativas de mujeres que tenían la intención de someterse a un tratamiento hormonal, para la pluma Bemfola® en comparación con las plumas Gonal-f® y Puregon®. Luis Alberto Quintero1, Victoria Verdú Merino2, Laura de la Fuente Bitaine3, Raúl Olivares Vela4, Jennifer Rayward5, Alejandra Torres Afonso6, Delia Báez Quintana7, Claudio Álvarez Pinochet8 Miguel Ángel García Giménez9, Ana Galindo Trías10 Julian Jenkins11 1IMER (Valencia), Spain; 2Ginefiv (Madrid), Spain; 3Hospital 12 de Octubre (Madrid), Spain; 4Barcelona IVF (Barcelona); 5Procreatec (Madrid), Spain; 6Hospital Materno Insular (Las Palmas de Gran Canaria), Spain; 7Hospital Universitario de Canarias (Santa Cruz de Tenerife), Spain; 8Gutenberg (Málaga), Spain; 9Clínica Zuatzu (San Sebastián), Spain; 10Gravida (Barcelona) Spain; 11Finox Biotech A.G. Since the 1990s, recombinant human follicle stimulating hormone (r-hFSH), such as Gonal-f® and Puregon®, has been widely used in the treatment of fertility . More recently Bemfola®, biosimilar to r-hFSH, has been introduced with similar efficacy and safety to Gonal-f® , but delivered with an innovative injector pen system (Reddot design award, 2011). Bemfola® is a single-use disposable pre-filled pen, available in five different presentations (75 IU, 150 IU, 225 IU, 300 IU and 450 IU), each of which provides a certain dosage range. Non-compliance with hormonal treatment guidelines is a fundamental problem in the achievement of therapeutic goals. The use of pens by patients is often limited by fear of injection and even related to the device itself [3-6]. Therefore, user-friendly devices can have a positive influence on both the physician’s prescribing habits of hormone therapies and the patient's compliance. Consequently, the aim of this study is to evaluate the use of Bemfola® in a population of potential users with respect to its ease and convenience in handling compared to Gonal-f® and Puregon® pens. The six possible pen sequences (BP-GP-PP / BP-PP-GP / GP-BP-PP / GP-PP-BP / PP-GP-BP / PP- BP-GP) were randomized according to the list of randomization with the corresponding user ID (01 to 50), indicating for each user a sequence assigned at random. The patients received the 3 pens, one after another, in the indicated sequence. All market research data were collected in their entirety without identifying the patient, completely anonymized and in accordance with data protection legislation in Spain. 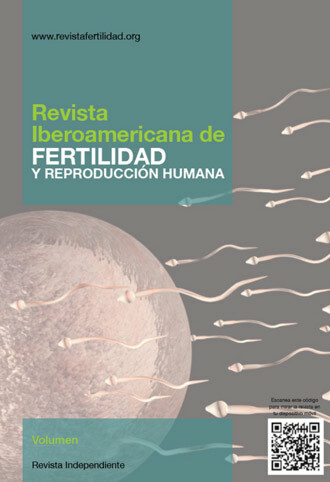 The following fertility centres participated in this research: Gravida (Barcelona), Barcelona IVF (Barcelona), Hospital Materno Insular (Las Palmas de Gran Canaria), Hospital Universitario de Canarias (Santa Cruz de Tenerife), Gutenberg (Málaga), Hospital 12 de Octubre (Madrid), Imer (Valencia), Procreatec (Madrid) and Clínica Zuatzu (San Sebastián). Between July 3, 2015 and January 26, 2016, questionnaires were completed by 460 users. The population of analysable patients consisted of 458 women, since in 2 cases the test sequences of the three pens were incorrect. Therefore, 458 patients were included in the complete analysis set. The mean age (SD) of the participants was 32.7 (5.0) years (Median: 33.0; Min - Max: 19 - 47). The mean (SD) of the visual analogue scale (VAS) (0 to 100) on “Appearance and perception” (4 items), “Instructions on learning to use the pen correctly” (1 item) “Handling of the pen during injection” (1 item), “General” (1 item) and the mean of the seven items are shown in Table 2 and Figure 1, and the results of the statistical analysis in Table 3. The Bemfola® pen showed the highest mean values (SD) of VAS in the seven items. The summary of the VAS mean of the Bemfola® pen was 76 (20) and approximately 15 points higher compared with administration of the Gonal-f® pen 61 (24) and the Puregon® pen 62 (24) (Table 2). Significant differences in VAS mean values (SD) were observed in the evaluations of the 4 items of “Appearance and perception”, while differences in “Ease of Use” and “Handling” were less pronounced (Table 2 and Figure 1). The mean (SD) VAS score between the Gonal-f® and Puregon® devices was similar across all items. The differences between Bemfola® and Gonal-f® and between Bemfola® versus Puregon® were very significant (p <0.0001, using the paired test-t test for the difference) (Table 3). Statistically significant differences between the Gonal-f® pen and the Puregon® pen were only observed in the items “Appearance of the pen” and “How discreet is the pen” in favour of the Puregon® pen. The Bemfola® pen showed the highest proportion of “best” choice in all seven items (Table 4). When subjects were asked what their overall preference was, 438 of the 458 responded and 56.6% indicated that Bemfola® was their preferred option (Figure 4). The classification of the Bemfola® pen of “best” preference was increased for the items “Pen size” and “Pen visibility” (Table 4). Marked preferences were noted in the “Appearance of the pen”, “Handling of the pen in the hands”, and “General preference” items, while preferences under the items “Learning to use pen” and “Preparation of the injection dose” were less pronounced. The “last” option of the Bemfola® pen revealed a special pattern with higher scores for the “Learning how to use the pen” and “Preparing the injection dose” items. Significance and p-values analyses confirmed the preferences for the Bemfola® pen, showing very significant differences between Bemfola® compared to Gonal-f® and Puregon® in five of the seven items (Table 5). The level of significance for the remaining two items . “Learning how to use the pen” and “Preparation of the injection dose” was minor and not significant in the item “Preparation of the injection dose”, comparing the preference of Bemfola® versus Puregon®. The scores for the Gonal-f® pen and the Puregon® pen were similar. The overall mean of the scores was slightly higher for the Puregon® pen, as well as for the three elements “Appearance of the pen”, “Handling of the pen in the hands” and “Preparation of the injection dose” in comparison with the Gonal-f® pen score. However, the statistical significance is shown only for the “Appearance of the pen” item, and was in favour of the Puregon® pen (Table 5). Figure 2 shows a bar chart in “best”, “second” and “last” of preferences for the three pens. There is a consistent pattern and sequence of the six items and the overall preference was: Bemfola® >> Puregon® > Gonal-f®. The “best” portion of the Bemfola® pen compared to the Gonal-f® pen and the Puregon® pen for the six items and the overall preference are shown in Figure 3. In general, in terms of “General pen preference” 56.6% of the 438 respondents considered Bemfola® their overall preference as the best pen (Figure 4), and between 50% , and 75% considered the Bemfola® pen the best pen in relation to the items “Pen size”, “Pen appearance”, “Pen handling” and “Pen visibility” (Figure 3). This user acceptance study, carried out in 10 fertility centres in Spain with the inclusion of 460 women included as “potential patients of hormone therapy with recombinant human follicle stimulating hormone”, aimed at evaluating the Bemfola® pen in comparison with the Gonal-f® and Puregon® pens, in terms of appearance and perception, ease of use and convenience and preferability of handling. The Bemfola® pen showed the highest score and high preferences in all evaluated characteristics, and achieved the highest “best” ratio compared to the Gonal-f® pen and the Puregon® pen. The results obtained in the present study demonstrated significant benefits and preferences for the Bemfola® pen compared to the Gonal-f® and Puregon® pens, and are in line with the results of earlier research carried out on a smaller population of users in Swiss and British fertility centres . The results confirmed a greater benefit of the Bemfola® pen because of its characteristics and preferences, which showed considerable differences with the Puregon® pen and even more marked with the Gonal-f® pen. The authors declare no conflicts of interest related to the publication of this document. The authors are grateful to Marina Tetyusheva, Köhler eClinical, for their support in statistical analysis, Urs E. Gasser, ClinResearch Ltd, for their support in drafting this manuscript, and Freddy Rodríguez for their collaboration in coordination and data collection. The authors also thank the health staff of their centres for the necessary assistance to carry out the present study. 1. Lunenfeld B. Historical perspectives in gonadotrophin therapy. Hum Reprod Update 2004,10:453-467. 2. Rettenbacher M, Andersen AN, García-Velasco JA, et al. A multicentre phase 3 study comparing efficacy and safety of Bemfola® ver- sus Gonal-f® in women undergoing ovarian stimulation for IVF. Reprod Biomed Online 2015, 30:504–513. 3. Food & Drug Administration. Guidance for Industry - PatientReported Outcome Measures: Use in Medical Product Development to Support Labelling Claims, Silver Spring, MD: FDA; 2009. 4. Richard R. Rubin and Mark P. Quality of Life, Treatment Satisfaction, and Treatment Preference Associated With Use of a Pen Device Delivering a Premixed 70/30 Insulin Aspart Suspension (Aspart Protamine suspension/Soluble Aspart) Versus Alternative Treatment Strategies. Diabetes Care October 2004, 27(10):24952497. 5.Toshinari Asakura, Klaus H. Jensen KH. Comparison of Intuitive- ness, Ease of Use, and Preference in Two Insulin Pens J Diabetes Sci Technol. 2009, 3(2):312–319. 6. Hey-Hadavi J, Pleil A, Deeb LC, Fuqua JS, Silverman LA, Reiner B, Newfield R, Rajicic N, Wajnrajch MP, Cara JF. Ease of use and preference for a new disposable self-injection pen compared with a reusable pen for administering recombinant human growth hormone: A multicenter, 2-Month, single-arm, open-label clinical trial in patient-caregiver dyads. ClinTher 2010, 32(12):2036-2047. 7. Imthurn B, McVeigh E, Stiller R, Arnold M, Pringle F, Irps Ch and Rettenbacher M. Evaluation of the use and handling of three different pen systems considered for in vitro fertilization treatment. Expert Opin Drug Deliv 2014, 11(12):1859-1864.